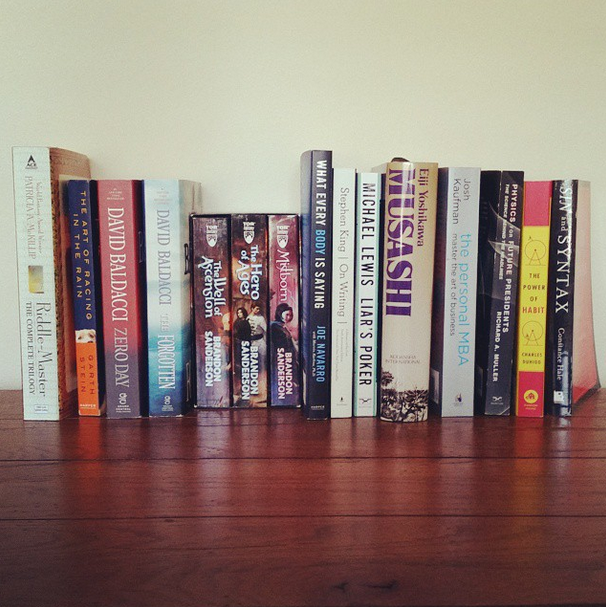 What do you hope readers take with them after they've read it? While the entire plot of Hope In Every Raindrop is fiction, the world of Carolina Dogs is based on my own experiences with the breed in Bishopville. I wanted to share this world with others, while at the same time conveying how precious life can be. "I love the title of this book "Hope in Every Raindrop" and the running theme of it throughout the book. I also loved the dogs in this book and how they played a large roll in the life and learning of the characters." He wasn't wearing a hat, either. It was the first time she'd seen him without one. His hair was dark brown, almost black. Short on the sides, and just enough to run her fingers through on the top. 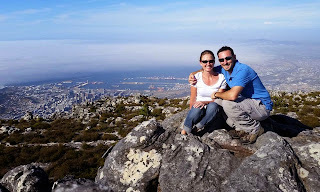 Katie moved to take a step towards him, except it wasn't a step at all, because her foot caught on a small rock embedded in a patch of clay and she tripped. She tried to break the fall with her arms, but she had been too distracted to recover quickly enough. As she hit the ground she let out a soft whimper, her shoulder driving hard into the dirt. "I am super impressed that this romance was written by a man it is a rare treat. That makes up for some of the slowness. I would say it's a fun rainy day read. (See what I did there?)" "If you're a fan of Nicholas Sparks, you'll easily find a new favorite author in Wesley Banks. Hope in Every Raindrop is a lovely inspirational novel with a moving message, romantic charm, and lovable characters." 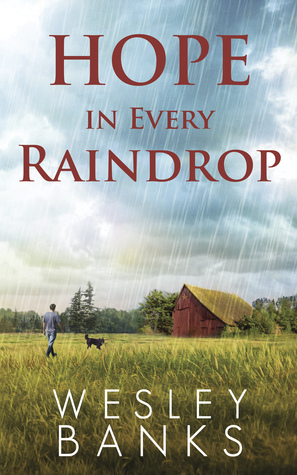 My new book, Hope In Every Raindrop is set in the small town of Bishopville, SC. A town that has consistently remained around 3,000 people in total population. A town that Kyle Walker has never left. When Katie Price meets Kyle Walker, there are many reasons she might fall in love with a small town guy like him, but these are the top 10. 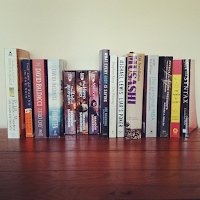 Recently I posted my current to-be-read (TBR) list on Instagram. There were 15 books on that list, and since then I've read 3. Of course, none of those 3 were on my TBR list, but that's a different story. Today I wanted to talk about the 5 books I'm most excited about on this list. It was early spring of 2007. I was on track to graduate from the University of Florida in a couple months, and already had a job lined up in Tampa. Yet, I found myself looking through a giant green book called, "The Dog Bible." I had spent weeks studying breeds, and narrowed it down to a breed that I had never heard of: Carolina dog. . . . I fell in love with the dogs from the moment I saw them. When you read Hope In Every Raindrop, one thing you'll quickly notice is Kyle Walker is the quiet type. He's far from shy, but he tends to be more reserved, especially about himself. So, I thought it would be fun to ask Kyle some random questions that he couldn't avoid answering. and the greatest thing you can make with it: a pimiento cheeseburger. 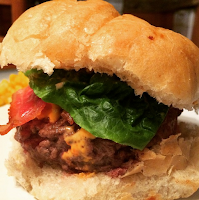 Of course, Kyle Walker just so happens to make one of these special burgers for Katie Price, in Hope In Every Raindrop. My sister called the other day to check in and the first thing she asked is, "What are you doing?" "Writing? I thought you were done with your book." "I am. I'm writing the next one." "Kyle and Katie seem to form a sweet bond even if Kyle doesn't talk much. Katie learns to love the animals just as much as Kyle, and that is when their relationship really blooms. This is a sweet story, about loss, love, hope, and finding inspiration through others. It really is such a sweet read." "Small towns have big stories." That was a lesson Katie's father taught her years ago. A lesson she's taken to heart. And right now, Katie is desperate for a big story. Reeling from the recent loss of her father and with her agent breathing down her neck for the next book, the twenty-one-year-old writer picks a spot on the map and finds herself bound for a middle-of-nowhere town called Bishopville, South Carolina. Taking a chance on the words of a local grocer, Katie stumbles upon a rare breed of dogs raised by the town doctor and his nephew Kyle. The only problem? Kyle isn't interested in telling stories, especially not to a big-city girl who can't seem to sit still. In an attempt to win him over as the clock winds down, Katie finds herself immersed in Kyle's world, doing everything but writing. Wesley recently moved from Florida to Oregon to get back to the great outdoors that he's love so much. He lives with my wife Lindsey, and his two dogs Linkin and Story. Most of his time these days is spent writing, with as much rock climbing, hiking, or skiing as they can fit in. 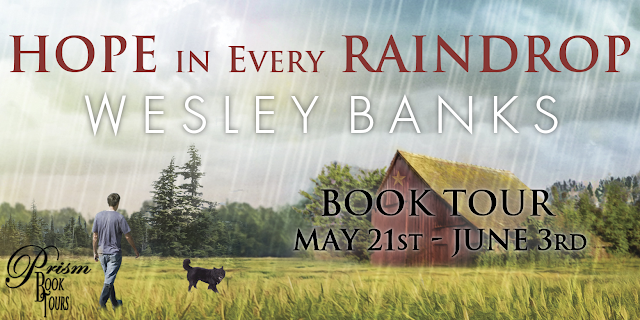 Wesley's debut novel, "Hope In Every Raindrop," is set to be released May of 2015.